Learn the latest tips, techniques, and approaches for laying out your websites with CSS and stylesheets. 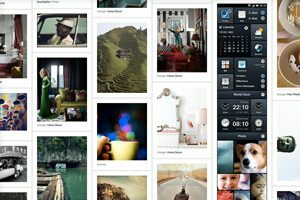 Responsive design isn’t a fad that arose because of a cool CSS technique, it’s an answer to a problem. Always remember that and constantly ask yourself whether or not you’re really adequately addressing that problem. If you’re using copy and paste to insert your media query breakpoints, your solution might be flawed. Let’s discuss why media queries exist and how we can leverage them to truly solve the quandary of the ubiquitous web. 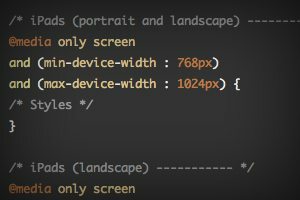 Let’s talk about why you should let your content determine the breakpoints of a layout, not hypothetical screen sizes. 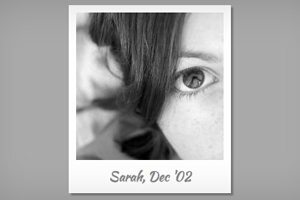 Once upon a time we relied purely on Photoshop to create fancy image effects. These days though we’re turning more and more to pure CSS to add eye candy to our images. Applying custom image treatments using code makes for an infinitely flexible workflow that’s easy to tweak at any time. Today I’ll walk you through creating some extremely simple and fun CSS image tricks. From polaroids to vignettes, you won’t believe what we can pull off. Masonry style layouts push the boundaries of creative layout techniques. I personally love how capable they prove to be at maximizing the efficiency of galleries containing items with varying heights. Every bit of screen space is used and the result can be downright mesmerizing. Today we’re going to dive into the concept, ideas and popular techniques that are currently prevalent in masonry style layouts. We’ll learn three different methods for pulling off a masonry layout, discuss the ins and outs of each and make sure that the result is beautifully responsive and reflows based on browser width. 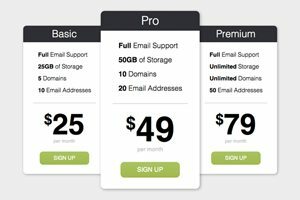 Today we’re going to grab some PSD pricing tables from Design Curate and try to convert them to pure CSS so you can easily drop them into your site. It’ll be a super basic but fun exercise in bringing a static design to the web and you’ll learn plenty of fun stuff along the way such as how to style hr tags a create a superscript effect. Today we have yet another awesome step-by-step CSS project for you! This time around we’re going to build a super useful expanding vertical navigation menu. It’s a great way to hide a lot of links in a fairly small space and the animations will add a nice touch to your site. Even if you’re a complete beginner, you should be able to pull this off. I’ll guide you along every step of the way and explain how each chunk of code works so you can implement these same techniques in future projects and deepen your understanding of CSS. Let’s get started! Local coding environments are great, but it’s often the case that I don’t want to crack open Espresso and spend a few minutes setting up to code when all I really want is to test out an idea or work on a bug. Also, sharing options for most local coding apps are limited and typically require integrating an outside app like Dropbox. 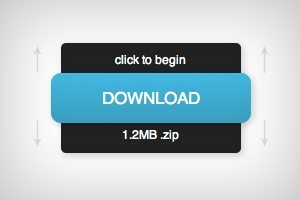 Follow along as we create a simple and fun download button using some fancy CSS3. Our button will use lots of fun goodies including border-radius, box-shadow, linear-gradients, z-index and transitions to achieve a unique double sliding drawer effect on hover. As we go, I’ll discuss why some techniques that you might think to use should be avoided. Transitions are tricky to work with and are quite prone to refuse to work with certain properties. Read on to find out more. 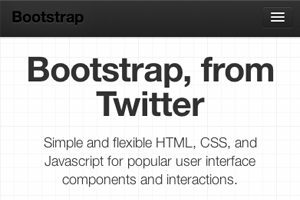 Recently, we took a look at a really solid framework from the good folks at Twitter called Bootstrap. This toolkit is a swiss army knife of utilities and includes both a functional layout grid and enough pre-styled elements to get a great jumpstart on any project. 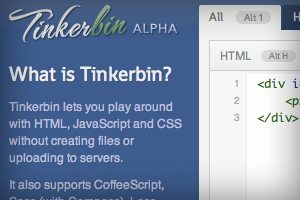 Today we’re going to look at a very similar tool from Joshua Gatcke called HTML KickStart. This framework is simply overflowing with great stuff that will enable you to build web page prototypes at light speed. Let’s jump in and build a page with it to see what we think. New technologies are making web development more exciting than ever before. HTML5 and CSS3 provide a double dose of modern practices that are absolutely refreshing and empowering. 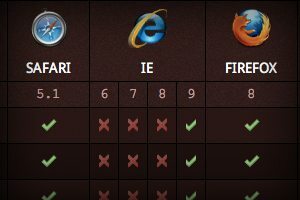 Unfortunately, utilizing these technologies can considerably complicate your quest for cross browser compatibility. How can you know which techniques are safe to use now and which you should either provide alternatives to or avoid altogether? Join us as we take a look at a handful of our favorite resources that quickly and easily help you make informed decisions about real world HTML5 and CSS3 implementation. Today we’re going to have some fun as we take a look at an awesome new free tool for web developers simply called CSS Button. 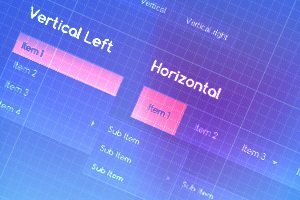 This web app makes it quick and easy to make the CSS buttons of your dreams using simple and intuitive controls. 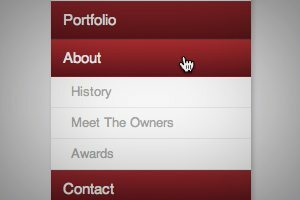 I’ve seen quite a few other CSS button makers before and almost none really merit repeated use, but this site has a lot going for it and can genuinely save you a lot of time and frustration. Let’s jump in and check it out! Responsive design often requires setting your widths using percentages. 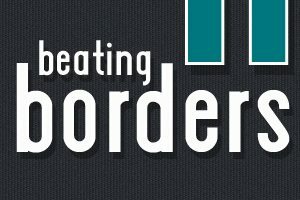 This is easy enough to accomplish, that is until you start throwing borders into the mix. If your columns and total width are set using percentages, a static border size wreaks havoc on your layout. Today we’re going to look at a couple of different ways to beat this problem. You’ll learn how to create a completely fluid layout that doesn’t mind extra borders or padding one bit.